GIGABYTE is pleased to announce two promotion events, one for Intel motherboards and the other for AMD motherboards. 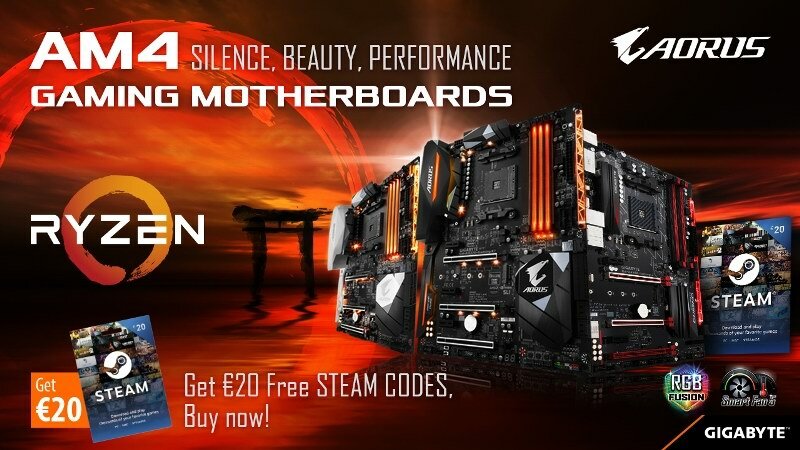 Everyone* who purchases one of these brand new GIGABYTE / AORUS motherboards (until June 30th 2017 or while stock lasts) will receive FREE up to €60 in Steam Wallet Codes. 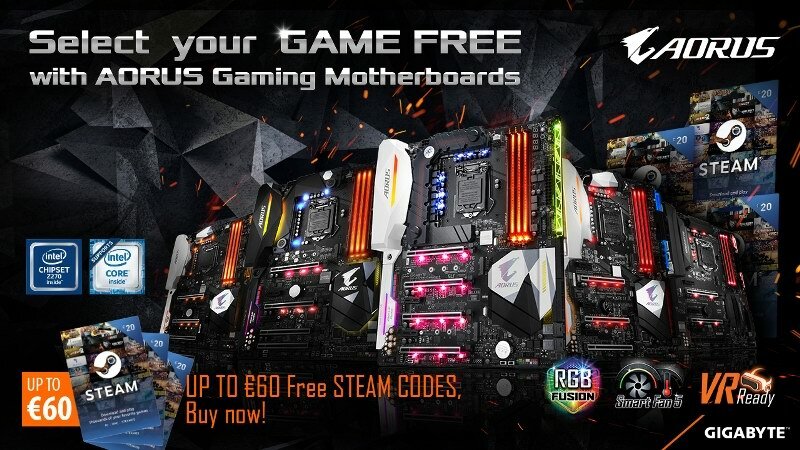 Re: Buy GIGABYTE / AORUS Gaming Motherboards and get FREE Steam vouchers! Same here I bought Aorus x370 gaming 5 on the 30th March, this is decidedly unfair.